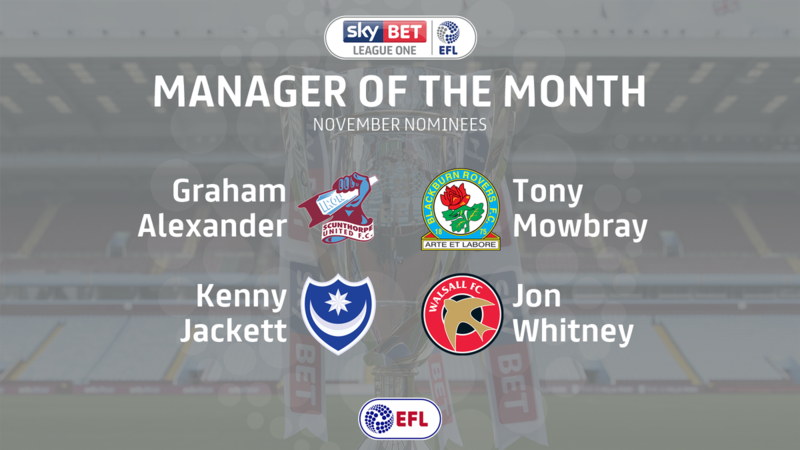 Walsall manager Jon Whitney has been nominated for Sky Bet League One Manager of the Month for November. Following a disappointing 1-0 defeat to Gillingham, The Saddlers responded with a 4-2 triumph over Fleetwood Town thanks to goals from Erhun Oztumer, Zeli Ismail, Tyler Roberts and Dan Agyei. The Saddlers then went on to secure back-to-back league wins for the first time this season with a 2-1 victory away to AFC Wimbledon, with strikes from the ever-present Oztumer and Amadou Bakayoko securing three much-needed points. 46-year-old Whitney has been named alongside Blackburn Rovers' Tony Mowbray, Graham Alexander of Scunthorpe United and Portsmouth boss Kenny Jackett, with the winner set to be announced on Friday, 8th December.